This article is part of our special report World No Tobacco Day. Anti-smoking campaigners heavily criticised the Greek government for not implementing a 2008 law that prohibits smoking in public places. EURACTIV.com reports from Athens. Speaking on Wednesday (24 May) at the International Conference on Tobacco Control 2017 organised by the European Network for Smoking and Tobacco Prevention (ENSP) in Athens, Greek President Prokopis Pavlopoulos stressed that the anti-smoking campaign has a national character. “Without underestimating the methods used so far against smoking, for me, the issue of tackling smoking is a matter of education,” he noted. Pavlopoulos said that special attention should be given to teenagers, who should be aware not only of smoking’s health impact but also, but that it has no social value. “When you give in to it, you show a weakness that sends bad messages for the future. Because if you cannot cope with this challenge, whose implications you are aware of, then you cannot deal, in these difficult times we are experiencing, with other bigger challenges. “Young people should learn what it means to resist this temptation, to be the first victory of their life,” he noted. Regarding smokers, Pavlopoulos said that in addition to the health implications, they should be educated and informed that this habit does not affect only them but their families and society as a whole. “Consequently, the obsession with smoking has wider effects that show the man who persists in smoking does not understand the elementary duty of solidarity he has towards all his fellow human beings,” the minister pointed out. However, Pavlopoulos made no reference to the controversy regarding the government’s failure to implement the smoking ban. According to a World Health Organisation report, Greece’s compliance with the smoke-free environments framework is quite poor. A law adopted in 2008 that prohibited smoking in public places has never been implemented. 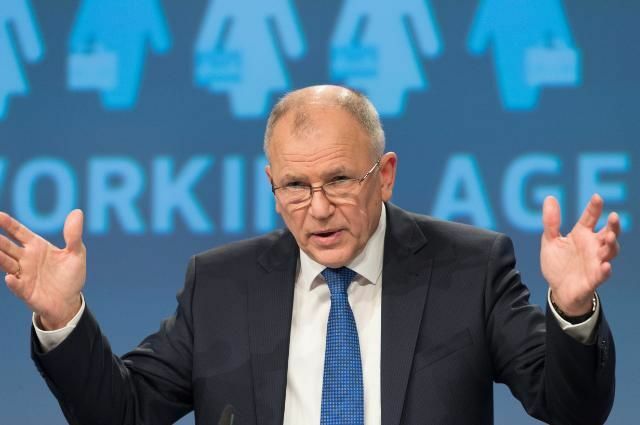 In an interview with EURACTIV.com, Vytenis Andriukaitis, the EU Commissioner for Health and Food Safety, admitted that citizen exposure to cigarette smoke in public places varies greatly across the EU and that it is particularly high in countries like Greece. Member states should prioritise laws that protect public health because there is little value in having them if they are not enforced, the EU’s health Commissioner told EURACTIV.com in an interview. “From our perspective, there is little value in having laws if they are not enforced,” he said. Professor Panagiotis Behrakis, Director of Institute of Public Health of the American College of Greece, noted that smoking was a mistake of the 20th century that will be corrected in 21st. He said that Greece was leading the scientific initiative to tackle smoking. However, passive smoking in the country is not being addressed. “There is a clear lack of political willingness to do so […] many successive governments have claimed that they cannot enact the law,” he emphasised. Nearly nine years after it became law, Greece is still struggling to implement a smoking ban in public spaces. “Over 80% of Greek people are angry about what is happening today and consider it a cultural degradation of the country,” Behrakis added. Professor Theofilos Rosenberg, Head of the Hellenic Center for Disease Control and Prevention, noted that the tobacco legislation is “brutally abused”. “Smoking is tolerated even in healthcare facilities. Within our own hospitals and surgery. Some doctors even smoke in front of their patients,” he said, underlining that the existent legislation is extremely progressive and clear but its implementation is an absolute failure. EURACTIV has repeatedly asked the Greek ministry of health for a comment but it received no response by the time of this article’s publication. Sources said that considering the tough austerity measures it managed to pass over the last few years, Greece”s leftist government has the power to implement the anti-smoking law as well. The same sources also emphasised that Philip Morris recently announced a significant €300 million investment in Greece, to produce cigarettes for export to more than 30 countries by the end of 2017. ESNP President Dr Francisco Rodriguez Lozano said that there were excellent tools like the World Health Organisation’s Framework Convention on Tobacco Control and the EU’s Tobacco Product Directive but they have to be implemented. “We must be very strong as tobacco is a very toxic and addictive product […] we don’t fight only against it but also against the tobacco industry, which is a tremendous enemy for us,” he said. “They are very powerful because they have the money […] but we are powerful too because we fight for the public health right on behalf of the citizens,” Lozano emphasised and agreed that the anti-smoking campaigns should focus on young people “as the tobacco industry does too”. Dr Mina Gaga, who is the president-elect of the European Respiratory Society, stressed that the mindset about smoking needed to change and stop connecting it with pleasant moments but only with morbidity. She explained that in a restaurant one can drink freely and get drunk but no one can drive because it is dangerous for others, as there are fines and controls. “On the other hand, it is considered an inalienable right of a smoker to smoke in public place, in a restaurant where there could be even children. Why? Because the danger is slower? The danger is there and it brings enormous human pain as well as costs to health systems,” she warned. In 2002, a new law prohibiting smoking in public and private workplaces, in transport, in hospitals and other healthcare facilities as educational institutions was enacted. However, the legislation was of little consequence, as exceptions were repeatedly granted to workplaces to allow continued smoking. A new law was then adopted in 2008 that prohibited smoking (and consumption of tobacco products in other ways) in all workplaces (including private), taxis and ferries as well as in all enclosed public places (including bars and restaurants). But since then, nothing has changed, despite the fact that a majority of smokers (62%) find the smoking ban positive. A vast majority of bars and restaurants owners are not abiding by the law. According to the legislation, in clubs or bars of over 300 square metres, the smoking area can be 40% of the total area of the premises. The separation from the rest of the establishment must be carried by partitions at least two metres. But owners have not taken such measures and the Greek authorities remain silent. It’s simply, instead to punish government’s who are themselves complicit of killing the citizens by allowing people to smoke for tax. What is need a total ban of tobacco and take the gras-industrie on the arse . Just as simple as it is. Maybe a lot of people will tremble but that will end over the time . The dangers of smoking have been massively exaggerated for decades. Tobacco Control is big business. The anti-smoking industry has a budget larger than that of most small countries, running into billions of dollars a year. Of course they want to keep the gravy train rolling. And there has never been any evidence that so=called ‘second-hand smoke’ is harmful to anyone. It’s all propaganda with no facts to back it up. Check out the largest studies ever done by Ernesto & Kabat, and by Boffetta et al. Both came up with nul hypothesis. My generation grew up surrounded by a fug of tobacco smoke everywhere we went, and we’re the fittest, healthiest, longest-lived generation ever. Much healthier than the current generation in their ‘smoke-free’ environments. Just look around you. And as for “62% of smokers find the ban positive”, yeah, right. Like 62% of turkeys find Christmas positive, I suppose. I can design a poll to get the answers I want, too. It’s easy if you know how to phrase the questions. 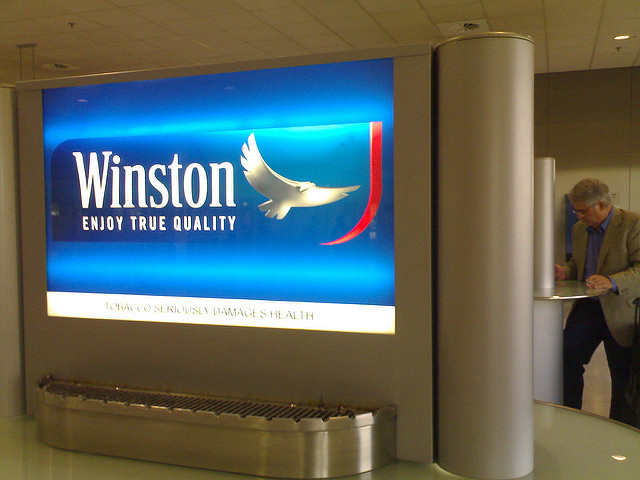 Observing from the USA, I salute the Greek people for their continued resistance to the War on Smokers. As the inventors of democracy, they understand that it’s not the role of the government to regulate social life or how people enjoy themselves. I wish more of my fellow Americans understood that.